This Blog Hop stop has been in the works long enough that not one, but two fellow writers invited me to take part: Angela B. Chrysler, and E. Rawls. I “met” Angela on Twitter (I think?) late last year, and we immediately bonded over our love of fantasy literature and our dreams of becoming published authors. She’s now preparing to self-publish her debut novel, Dolor and Shadow, which is due out in late May. As for E. (full first name is Elizabeth), she was also nominated by Angela for the same blog hop; and like me and Angela, she’s a fantasy writer and Tolkien fan. Thank you, ladies – and sorry it’s taken me so long to respond! This blog hop is designed to show our readers a more personal side to ourselves. We’ve been challenged by another author/ blogger (somewhat like the ‘ice bucket’ challenge) to list seven interesting facts to help cast light onto that tough writer’s/ blogger’s persona we all like to project. But we want to show that behind every story is a story, our story, my story; and like everyone else, I have dreams, hobbies, problems, and goals. This blog hop is a way to share some of them with you, my readers. The rules are that I share 7 Lovely Facts about myself, and links to a maximum of 15 blogs that I enjoy reading. If I’ve nominated your blog (see names below) please don’t feel any obligation to join in but, if you do, please link back to the blog of the person who nominated you (that would be me, Sara Letourneau), share facts about yourself, and nominate 15 blogs (or as many as you can). Hope all of you enjoyed your holidays and are looking forward to 2012. I know I am. But before I think too into the future, I’d like to take a look back on the music of 2011. For me, 2011 got off to a slow start but picked up in excitement by summer’s end – and then a slew of great albums came out in early autumn to intrigue me further! So, which 10 albums did I enjoy the most? Most importantly, which one took my top spot? Note: If you’re friends with me on Facebook, chances are you’ve already seen this list. This version is a little more interactive, however, and also reveals my favorite songs from each album. 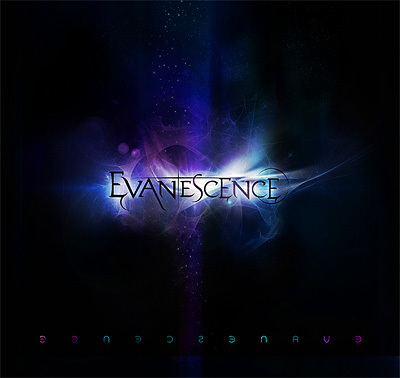 My latest review at Suite 101.com tackles the self-titled third album by the biggest name in female-fronted rock music: Evanescence. It turns out that a five-year hiatus and a more collaborative songwriting process has encouraged the band to steer their music in a (slightly) new direction. The result is Evanescence, a less bombastic and more straight-up rock record than Evanescence’s previous album, The Open Door. However, does this change work in Evanescence’s favor? Click here to read my review of Evanescence’s self-titled album.